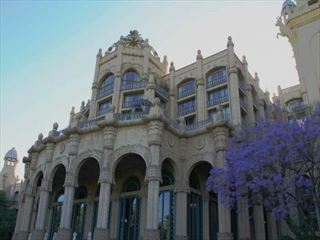 Sun City Hotel is the original hotel at the Sun City Resort in the north of South Africa. 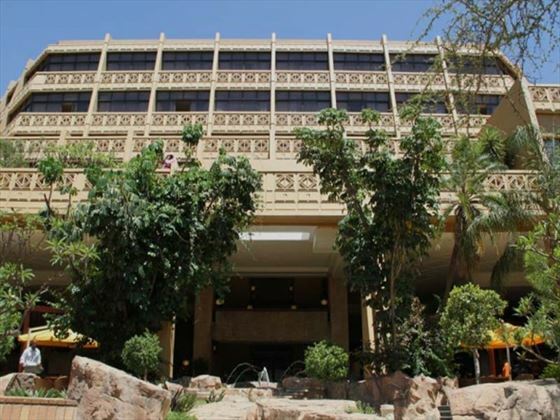 It offers easy access to all of the facilities of the resort including the casino, theater and water park. 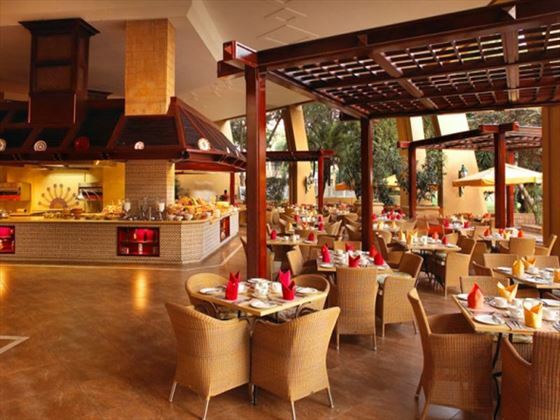 There’s a fantastic range of restaurants and bars on-site too. 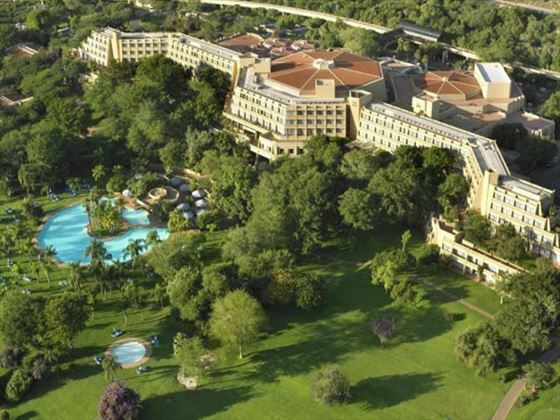 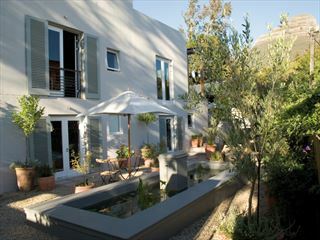 Sun City Resort is also home to two golf courses, both designed by Gary Player. 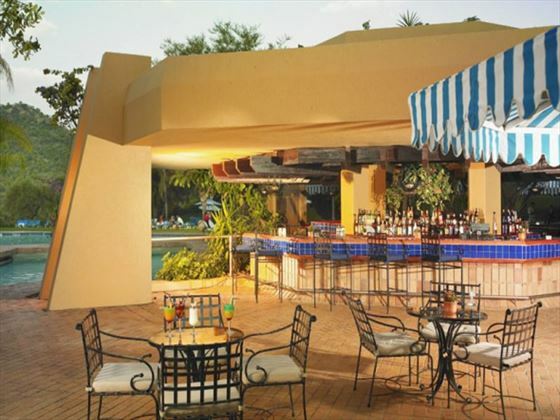 Our favorite is the dramatic Sun City Golf Course, where you can watch the live Nile crocodiles in the water feature around the 13th hole. 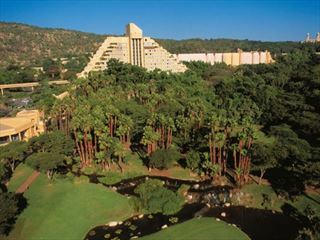 It definitely makes the course unique and adds to the sense of opulent fun at Sun City. 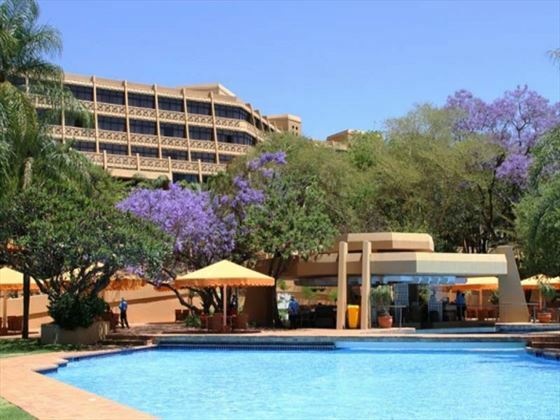 Top Tip: There is a fantastic range of restaurants available at the Sun City Hotel ranging from the delicious Indian cuisine of The Raj to traditional African dining at The Calabash.